Fitbit is undoubtedly one of the companies that is more committed to creating products suitable for those who like to monitor their physical activity. Thanks to these smart watches, you can follow step by step all the movements that are performed during the day and check your sleep in order to have statistics on the effectiveness of your rest. The catalog of this brand is quite advanced and presents models suitable for all budgets and all needs. So, if you are wondering which Fitbit to choose, today we will try to answer this question. We will compare all the available models and explain their characteristics and functions that distinguish them. You do not need to be an established sportsman to appreciate such a product. Sometimes it’s enough to be curious to discover your level of sedentariness and maybe make some minor adjustments to our lifestyle. If you want to understand which Fitbit is right for you, you just have to stay in our company for a few minutes and get to the end of this article. 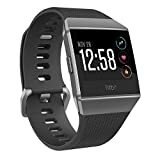 The Fitbit line-up for fitness trackers is one of the most complete among those presented by the various manufacturers. Inside you can find models for all tastes and all budgets, from the economic one that provides only basic information, to real smartwatches that keep track of the minimal detail of physical activity. We will present them in order of price, gradually bringing you to the more expensive and complex Fitbits in order to help you choose the one that best suits your needs. Are you ready to start? 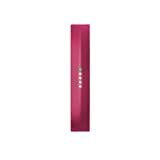 Fitbit Flex 2 is currently the most economical fitness tracker in the company’s catalog. Made with the shapes of a typical silicone bracelet, this conceals inside a recess where you can insert the body of Fitbit Flex 2. In the upper part, there are 4 LEDs that will be used to keep track of your physical activity with lights and different colors. As you can see, despite the characteristics are those of a low-end product, Fitbit Flex 2 turns out to be really complete and very suitable for amateur sportsmen. Going up a bit level, if you are wondering which Fitbit to choose, we can only recommend the Alta series, consisting of two products. Their difference lies entirely in the presence of the heartbeat sensor, included in the HR model. For the rest their technical characteristics and their design really similar. Even in this model, despite the presence of a screen, you can access all the complete statistics on the activity carried out with the official Fitbit app. Fitbit Charge 2 raises the bar even more and with a price, all in all, right is proposed as one of the best fitness tracker economic, without sacrificing quality. This product consists of a screen, which also integrates the sensor, embedded in a silicone bracelet that you can change with one of the many models available. Once worn, you will not be bothered and even those who are not used to wearing a watch will be fine right away. Its main feature is definitely the sensor for heartbeats, present in the back and really accurate in its measurements. The other features fully reflect the mission of this model, that is to bring sportsmen a reliable and quality fitness tracker. It is a fitness tracker perfectly in line with those we have examined so far, with an extra gear for details. Be prepared, because the real spikes of Fitbit we will present them in the next paragraphs. Fitbit Blaze, in addition to being a fitness tracker, is a real smartwatch. This time the design changes drastically and looks much more similar to that of a watch, with the touch screen instead of the dial. The features offered are much more complete than previous models, as well as the accuracy and quantity of recorded data. Fitbit Blaze is one of Fitbit’s flagship products. But soon we will see the latest flagship made by the leading brand in this area. Fitbit Ionic integrates most of the functions of the previous model and improves them. The style is always that of a smartwatch, with a more refined design and quality materials. The color touch screen has a diagonal of 1.44 inches, the ideal to be always clearly visible without disturbing the wrist. Compared to the previous model, we find the integrated GPS, which will allow you to track your activities on the map even leaving the smartphone at home. Moreover, thanks to an integrated memory, it is possible to record up to 300 tracks on Fitbit Ionic, to be listened to during training sessions or running sessions. As we have already said Fitbit Ionic is the flagship model that has nothing to envy to other smartwatch on the market. This is definitely a recommended product for the most demanding sportsmen and technology lovers in general. After analyzing which Fitbit to choose, finding the right model for you will be even easier. Do not forget that the company acquired Peeble two years ago and are turning rumors about the likely presentation of a new model of smartwatch with E-ink screen. All this could really make fans happy with this technology that if well exploited can greatly increase the autonomy of fitness trackers. Which Honor Smartphone to choose?